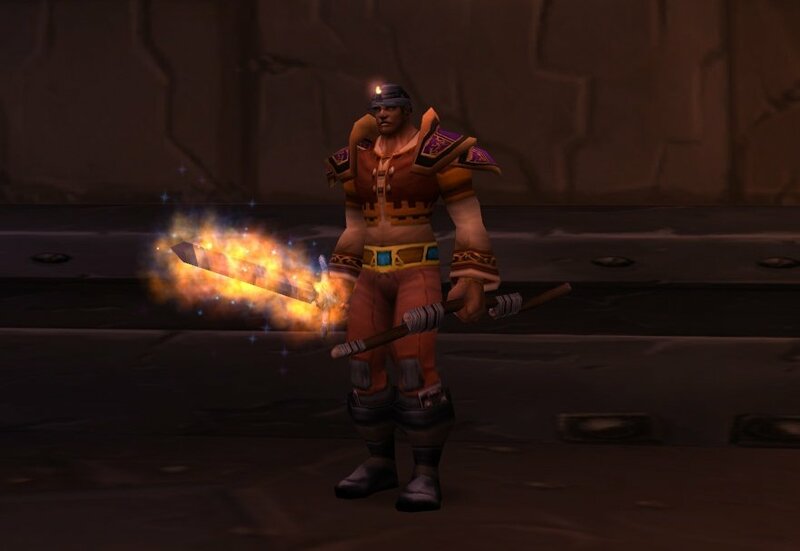 Shattered Beginnings: What you Mogging' at, Deathwing!? Stepping away from the negative, it has been officially quoted that we should be prepared for an epic battle in 4.3. A battle of great proportions, like no other. To bring a close, with the last major content patch of the Cataclysm expansion, we are being set in line for a fight against Deathwing the Destroyer. One described as nothing alike what we have experienced before. Aside from proceeding mentions, such as a ride on the tyrants back during the encounter, and various speculation, I have formed my own fantasy. 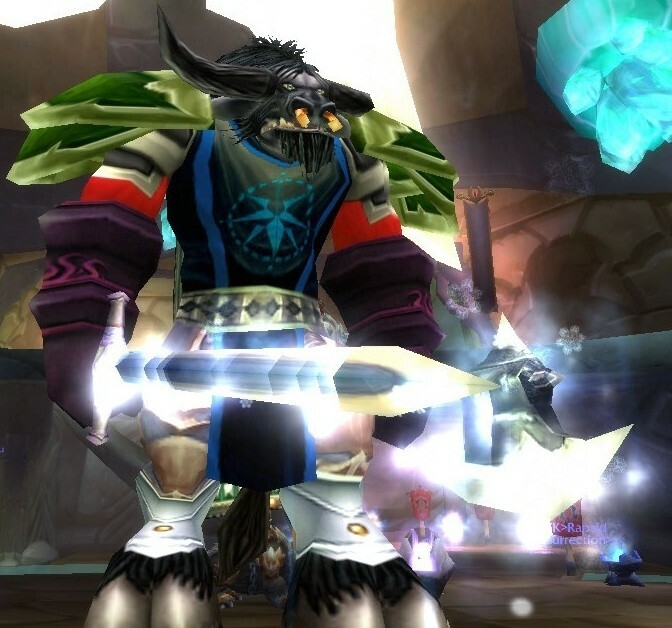 He has brought sheer chaos to the majority of Azeroth. He has ruined cities, wrecked entire landscapes and set his sights on those brave adventures wondering amidst the fires. So why take the 'fight for azeroth' to a hole in the mountain, far away from civilisation? Mean, he can travel some distance with those flapping arms, why would he stick to one place? This is where the idea, of stretching the fight across to particular world locations, came to mind. Whether it be the forests of Elwyn or to the waters of the Thousand Needles. Then I thought, hold on. They had this, as such. World Bosses anyone?! My very own speculation (and mad scientist sparkle in the eye) took flight. Imagine, with the clever use of phasing, being able to spread the encounter across various playing fields. Each phase took you, presumably on Deathwings back, to a different zone. You could be winding in and out of the jungles of Stranglethorn Vale, trying to avoid the incoming rein of fire, before being warped to the distance of the Twilight Highlands. Those are only examples, but just imagine a full scale war against Deathwing, waging across the world he set out to destroy. Just sitting here and letting loose on the endless possibilities this could bring, sets my candle on fire. Why couldn't this happen. They've come so far with the Phasing technology now, which is evident in the fire lands, so why not? This would live up to the level that Blizzard has set themselves by far, alongside a large proportion of the player base also. What do you think? If the above speculation wasn't enough for you, then I've also had this little spark of Imagination. Although I haven't had much time to give it a more precise argument, I thought I'd get it out there and let you guys do that part. With the ability to change the appearance of your armor and weapons drawing closer by the day (Or week, should I say), why not continue with the character appearance building? Now, already as I venture into this, I can see a few walls being hit here. 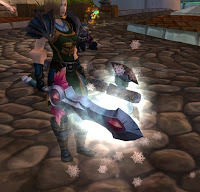 Though what about weapon enchants? Have you ever just wished you could pick the one with the coolest effect, or glow? Rather than the one which gave you the 'best' stats. What if you were to have more choice on what the final look of your weapon would be, once it receives a particular addition. There are some really interesting graphics out there, especially with the older ones. Any thoughts? 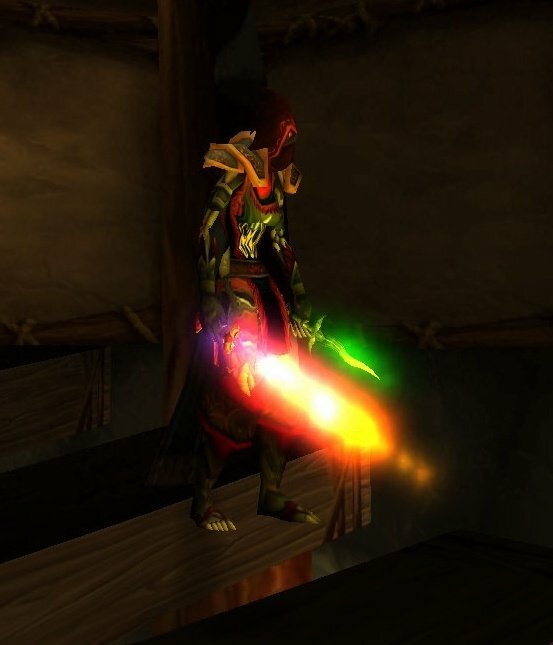 Would you fancy taking the enchanted weapon look a little further? Once, again, wrapping it up, for what has been a speculative post indeed. I hope to see and read all your own thoughts and ideas on anything I have mentioned (or anything at all). The last three pictures have some lovely enchant effects. I wonder if your idea will become reality - it seems too good to be true! 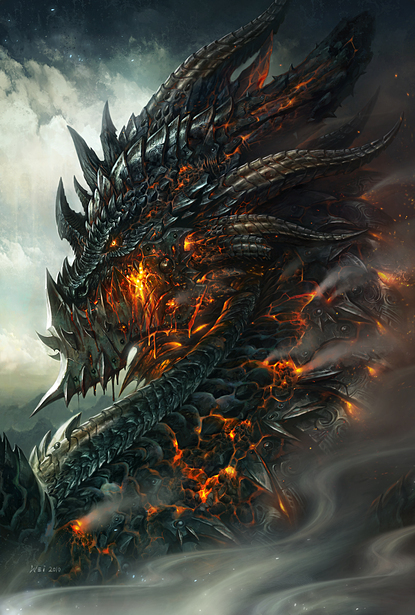 Personally, I'd love to fight Deathwing in different places, one each phase. A major NPC from that zone could jump in to help in some way, before he dragged you to the next zone. Wouldn't it be wonderful if the other aspects fought him mid-air alongside you? Personally I dont think this will be the death of Wow - as old plyers leave - new ones enter who have never seen the game and so have lots to look forward to. As for the threat - I think its a wonderful idea. I have never tried tanking, but this might just encourage me to give it a go. One of your best posts ever Jamin! Your writing style seems really fluid and I just love your ideas on the enchants! Nice one! Heh, interesting to see you're thinking along similar lines to me on the Deathwing raid. I don't know if it's technically possible to have us flying over entire zones, but I can't see why not - after all, we already fly over them on mounts, so the technology's clearly there. Why not have us doing so whilst we fight? Hey, this is the anonymous who commented on your last post and gave you a few tips about the use of bold/italics, namely reading your post out loud to see how the emphasis affected its readability. I just want to say that this post is formatted so much more nicely, and is much easier to read! I'm glad that you didn't get discouraged about your writing, but instead were able to take advice and run with it. This post is really well written and you have great ideas, so I'm glad the formatting is no longer detracting from your style. I agree! 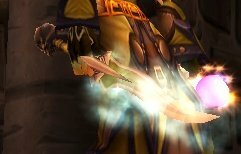 They can really turn a dull weapon into something else. Well, you never know! Now, those would be lovely additions to the fight also. Having the racial leaders and/or the dragon Aspects would really 'heat' it up! 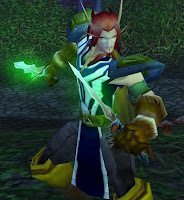 Give tanking ago, I'll come along! 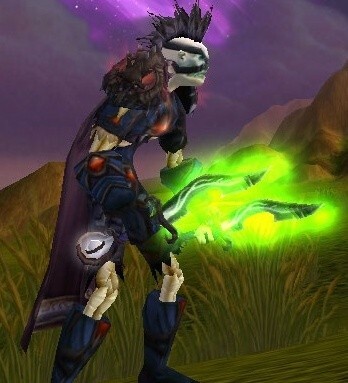 Now, if we get the guild going, I see no reason why we can't all experience! Thank you for the kind words also. Really makes my day (or week!). Exactly my point, I don't see any obvious boundaries! Even if it takes some work to create (which we pay for right!). Thanks for the kind words. After all, I want to best experience for my readers. I took on board what was said, and tried adapting without loosing my own 'style'. 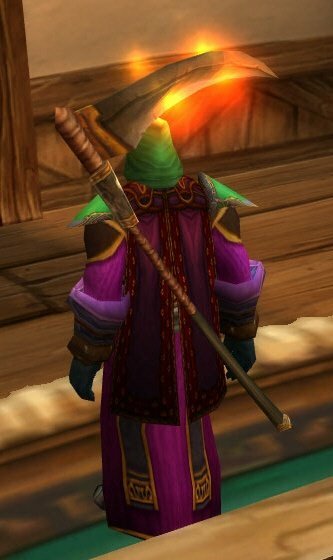 I'm not even sure what enchant I used to like most on my priestess - I'd love Sheddle Glossgleam's shiny shoes permanently though! Well, everything can make a world of difference! I think a multi-zone battle with Deathwing instead of the old-standard everyone-has-their-own-room encounter would be a truly epic ending to the story of Neltharion, if indeed this spells the end for him. Regarding enchants, I kind of like each type of enchant having it's own unique look, and I don't think X-mog should extend that far, but to each his own. Glad that you like the idea too!